Wholesalesockdeals has the the lowest prices on wholesale socks for the holidays. 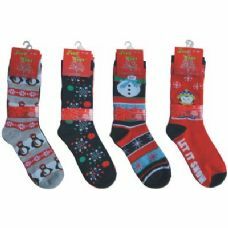 We carry wholesale fun printed christmas socks in cozy knee high legnth with classic holiday patterns, wholesale fuzzy christmas printed socks in red white and green, wholesale printed ladies halloween socks in bright patterns and assorted prints, wholesale heart printed knee high socks perfect for valentines day. Our socks are made from high quality material for long lasting comfort and style. Shop with wholesalesockdeals today and see how much you can save. Get ready for the holidays with wholesalesockdeals. We carry a full line of wholesale printed holiday socks at low bulk prices everyday. Here at wholesalesockdeals, we strive to meet the price needs of many charities, homeless shelters, fundraiser groups and church groups throughout the country. 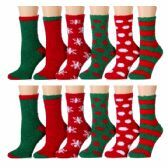 At these low bulk prices, wholesale holiday socks are a great promotional giveaway item for fundraisers, holiday parties, cooperate events and other large groups. Shop with wholesalesockdeals and enjoy great savings and fast reliable shipping everyday. Stock up for this holiday season and save big with wholesalesockdeals.